Running #22. | Let's Do Comics. Keep a look out for Running in print in the latest Backwards Burd Anthologies! 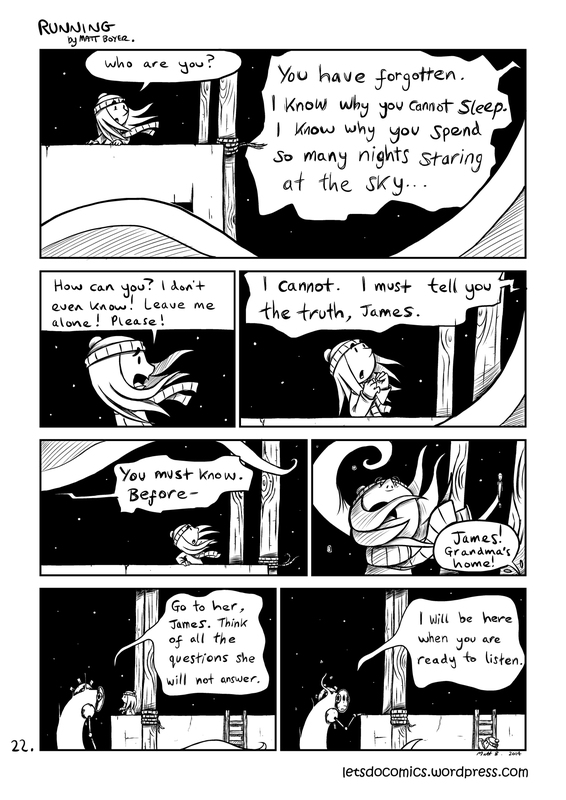 This entry was posted in author: matt b, Running and tagged backwards burd, comic, comics, ghost, grandma, james, kid, night, rooftop, running, uk, webcomic, webcomics. Bookmark the permalink.